one by one the children were invited to step up and play anything they liked over the top; most responded readily. When we came to Jack however, he was holding his chair so tightly, his knuckles had turned white and his eyes were wider than saucers. Our senior teacher crouched next to Jack. ‘Can I ask a question, Jack?‘. ‘OK‘, said Jack. ‘If I gave you a football and said let’s go for a kick around on the beach, how would you feel?‘. ‘Fine, I like football!‘, said Jack. ‘Great! What if my phone rang and I said I’d be with you in five minutes. When I finished the phone call, would you be standing on the beach with the ball under your arm?‘. ‘No, I’d be kicking it about‘, said Jack. ‘OK good. And who would be telling you how to do it?‘. ‘Nobody’, replied Jack. The penny dropped. 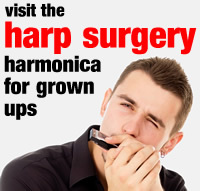 ‘Shall we jam something on the harmonica together?‘, asked the second teacher. ‘OK‘, said Jack. He stepped up and, to a round of applause from the rest of the group, he played a few experimental notes over our riff. It sounded great. Jack returned to his seat, but he had changed. He was smiling, he was confident, he was part of something new and he waiting for another go. This is a true story. When all is said and done, improvisation is was it is; it’s as individual as each of us. But just as Jack had perfected his football skills through several seasons and knew how to have a kick about, he was embarking on a whole new learning curve. 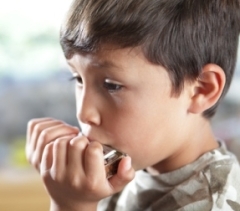 He had to draw on his imagination and harmonica skills, and meet the moment musically. Before long we chose a backing track and mapped out the ‘play area’ for our musical knock-about, or jam. We talked about the structure of the backing track; how it began, how it developed and how it ended. We considered the rhythm, the tempo, the chord progression and the mood of our backing track. These became the touch lines, centre circle and penalty areas of Jack’s new ‘musical soccer pitch’. We decided which notes were safe and which were risky. 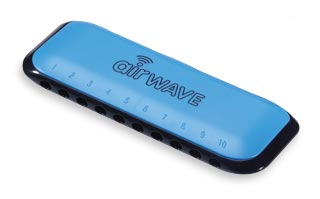 We added some key techniques such as trills, wah-wahs and glissandos. We started on just one hole, built up to two holes and then we worked on some phrases or licks. We’ll soon be exploring new backing tracks, learning to capture the licks we create on paper as standard notation and harmonica tab, and starting to play solos. We’ll also learn when not to play and how to create space in music. And, as the famous title book goes, just like Jack, we’ll feel the fear and do it anyway.